At TechnoBuffalo, we adore our pets. So we know firsthand that, when it comes to animals, owners can be a fiercely loving bunch. Some are even so committed to their pets that, even when they’re stingy with their own shopping, they still open those wallets for food, treats, toys, beds and other gear. Well, if you fall into this camp, then here’s a new way to geek out over your four-legged friend. 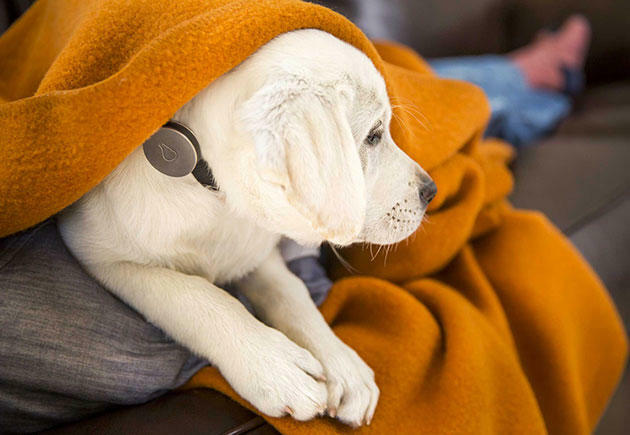 Meet Whistle, a collar-situated tech that’s something like a FitBit for dogs. If you have ever wanted to know how much time your canine spends walking, running or relaxing, or need a tracking solution for a pooch that loves to wander, this little disc could be the answer you’ve been looking for. 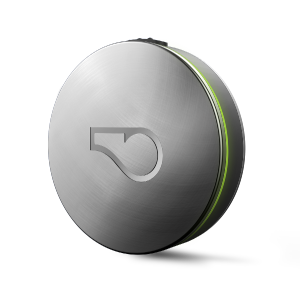 Not only does it boast 10-day battery life, but it also has a built-in accelerometer that offers all sorts of data about how active your pet is on a day-to-day basis. But this won’t come cheap. When the device launches this summer, it’s going to cost close to a hundred bucks. That $99 sounds like a crazy amount of money — even for us — especially when many people won’t even buy a FitBit or Jawbone UP for themselves. But it could be a worthwhile investment for owners with aging dogs or other health problems. After all, animals can’t speak for themselves to complain about aches or other symptoms. By monitoring the activity with the Whistle iPhone app, people can notice declining activity levels, and have Fido checked out for joint pain or other problems. Sleep issues could be an indicator that a diabetes test is necessary. And, of course, if he’s outside, but hasn’t moved in a while, you can easily locate him and see if he is ill or wounded. Losing a pet is a heart-breaking ordeal, and some people may gladly spend the cash to care for their pooches. As for those who need, but can’t afford this, keep your eyes peeled on Whistle. Like most gadgets, it may just take time for the prices to come down.